during a recent trip to my fave store, the doLLaR trEE, we found a little plastic backpack full of monkeyhead erasers. we picked them up because i thought that they would make excellent math manipulatives. Bear wanted to play with them the other day. i wanted to see what he was going to do with them, so i just gave them to him. then i sat down and watched. 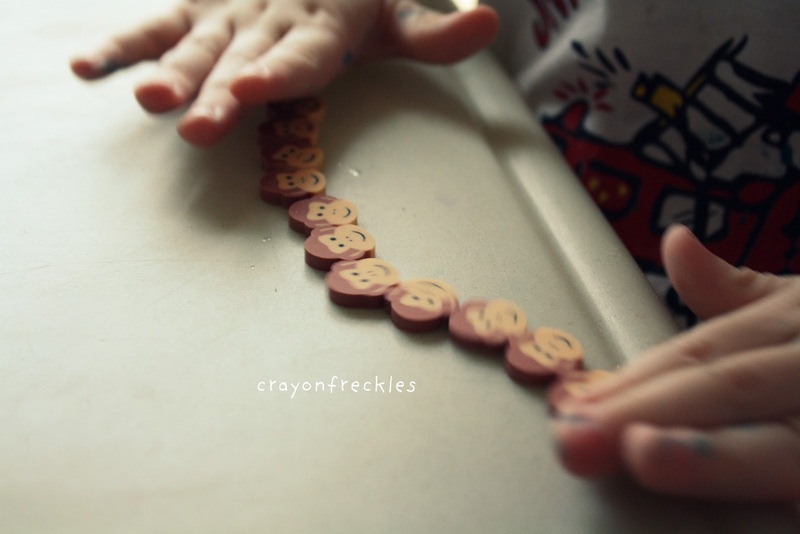 he started counting them one by one and then putting them in a line. $1 well spent. wouldn't you agree? 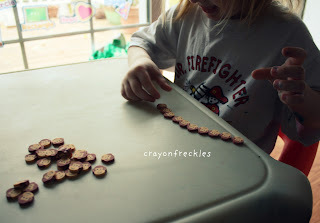 Isn't it so cool to watch your kids turn an everyday object into something they can learn from?! My daughter does this with cheerios and I love it!